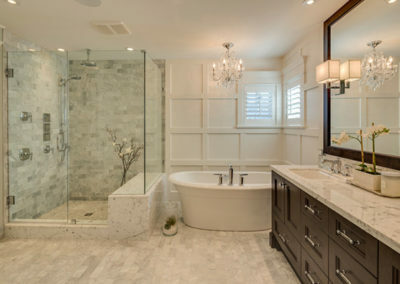 View Our Gallery Of Best Bathroom Remodeling Miami Projects! 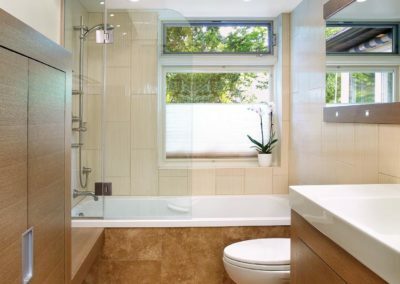 When it comes to bathroom remodeling, there are lots of things that can go wrong. 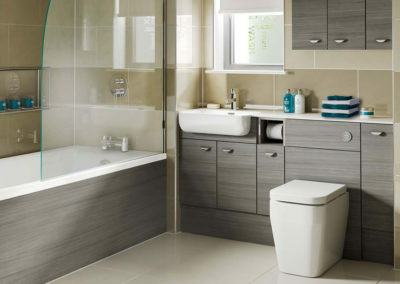 This is the reason why you should leave it to the professionals to be standing by your side during the entire process. They will be there to make sure everything goes along perfect and is also stress-free. The bathroom remodeling will still be completely in your control and you will still have the freedom to let your creativity shine. 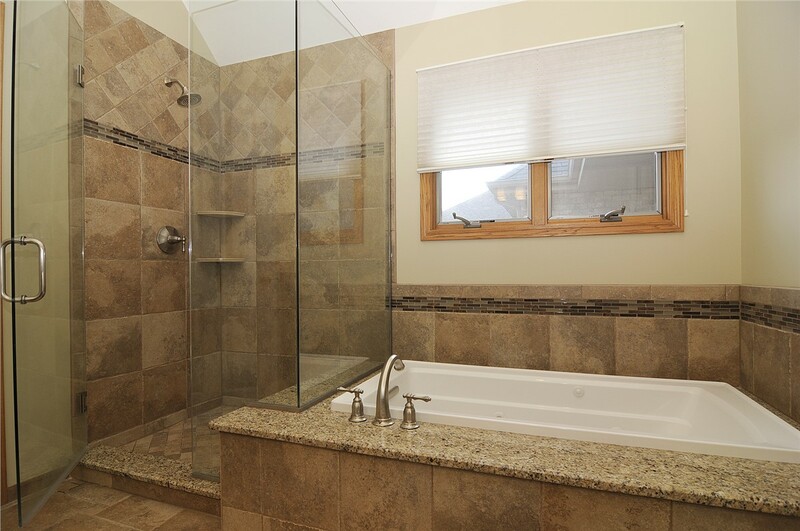 With Kitchen and Decor Center, our goal is to make sure your entire remodeling process is stress-free. 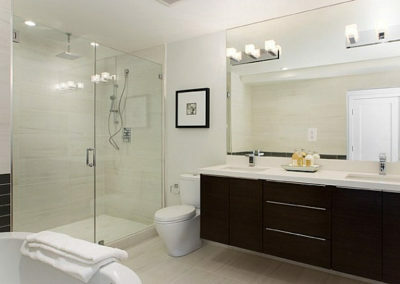 Come to use for bathroom remodeling Miami. Need help being convinced? Be sure to check out our lovely gallery that features various examples of the glorious work Kitchen and Decor has completed over the years. 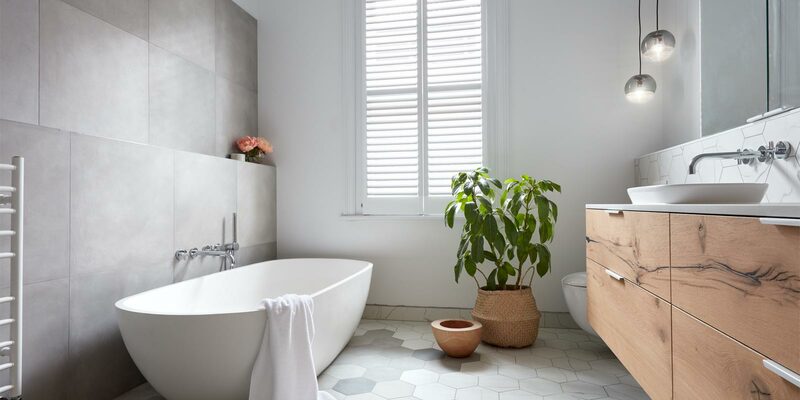 These examples are sure to leave you motivated and ready to get started on your remodeling journey! 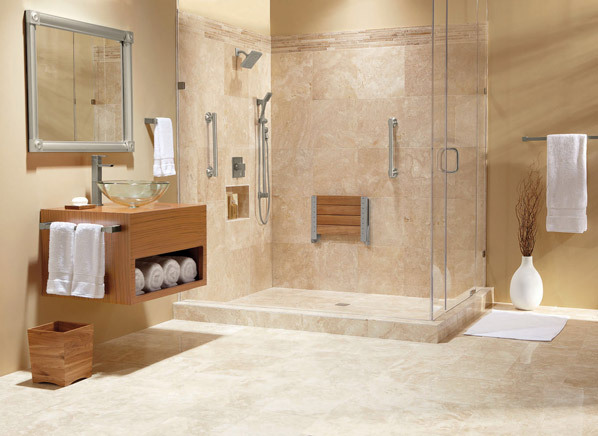 Many homeowners prefer untiled walls in dry areas, the tile in many older bathrooms extends to a height of four or five feet. 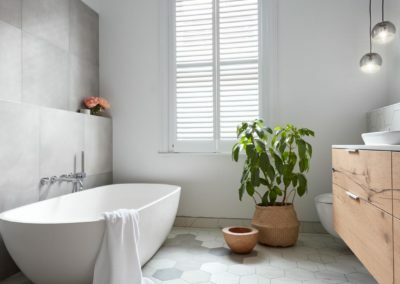 Unfortunately, in the old days, attaching tile to a wall involved attaching a metal mesh to the wall studs, spreading cement on the mesh to make the wall even with the plaster above, and then attaching the tiles to the concrete. The demolition process removes not just the tiles, but also the concrete and metal mesh holding them to the wall. 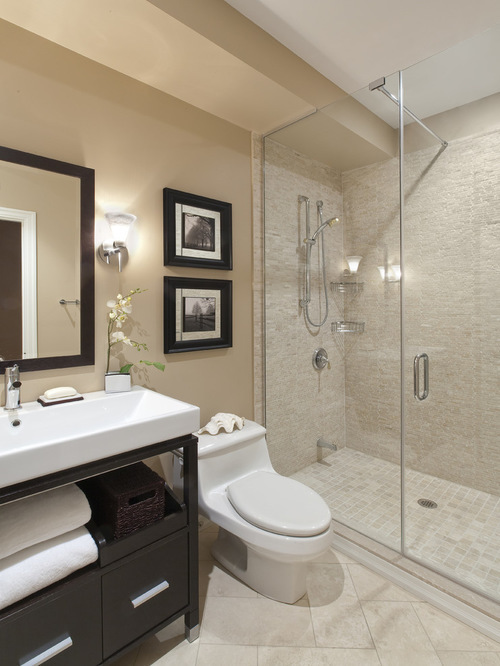 A carpenter builds out the walls of the bathroom so that the finished wall is even with the existing plaster above. Additionally, any damaged floor joists are repaired and, if necessary, the floor is built up. 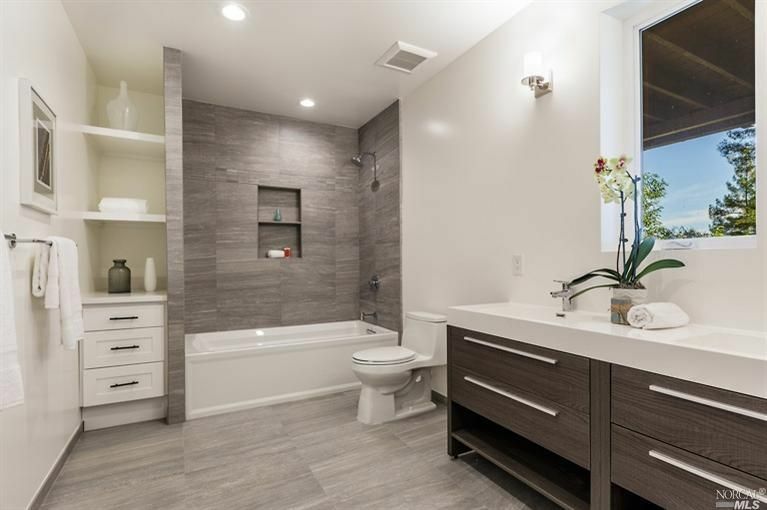 While the studs in the walls are exposed and easily accessible, water feed lines, drains, electric outlets and switches, and heating and air conditioning system ductwork is installed or updated. At this point, any one-piece, pre-manufactured bathtubs, shower stalls, or shower pans are installed. 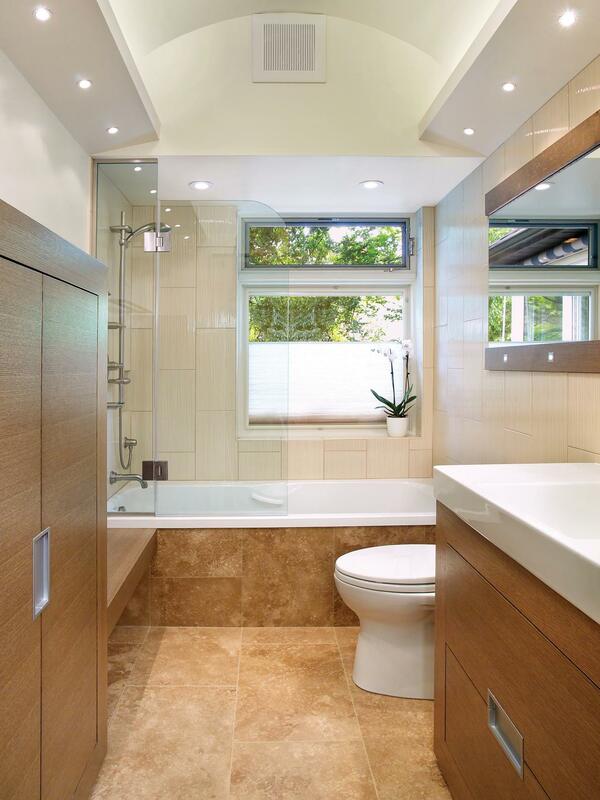 The moisture-resistant backer board, along with a vapor barrier, is installed on the dry walls of the bathroom. 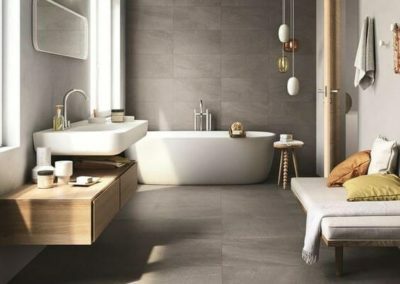 The contractor will also install 100% waterproof backer board on the soon-to-be-titled wet walls of the shower stall or bathtub. 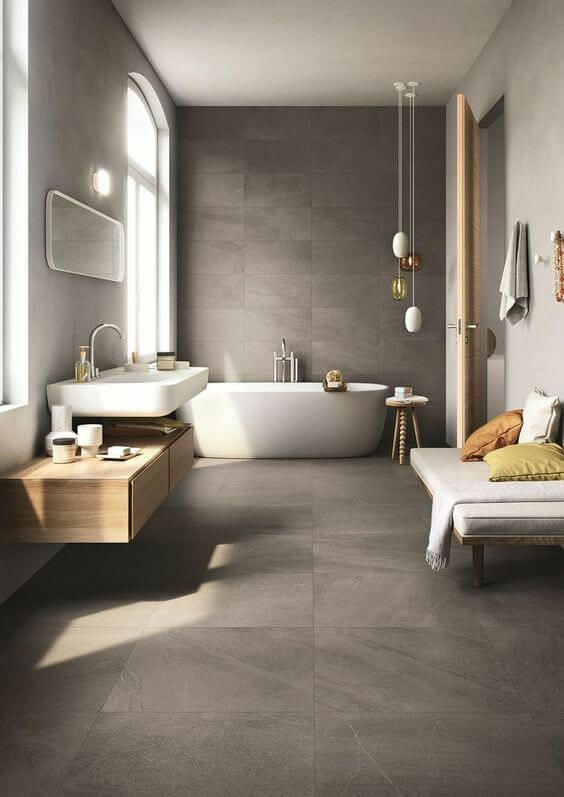 Depending on taste and budget, a tile may be used to cover the bathroom floor, bathtub walls, shower-stall walls, and shower pan. The next step is to install and connect all of the cabinets, countertops, toilets, sinks, faucets, etc. Carpenters, plumbers, and sometimes electricians complete this step. 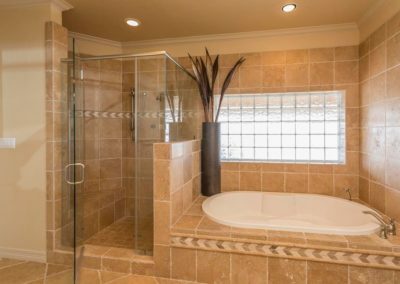 Any glass shower-stall walls, custom or standard mirrors, towel bars, and other hardware are installed. 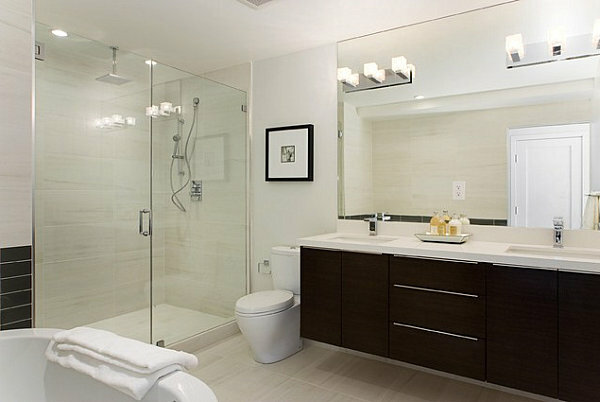 We are the ones to trust when it comes to bathroom remodeling Miami. 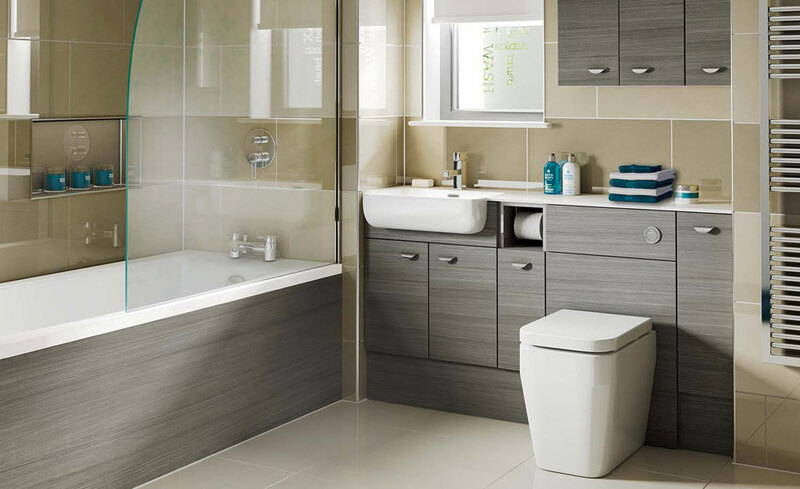 The Kitchen and Decor Center in Miami is the leading provider of kitchen design service for the area’s residents. 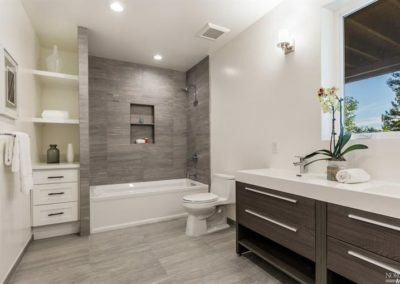 Not only do they have a team that can help bring your design to life, but they also have in house kitchen contractors that will help execute the plan set in place. Call or visit us today to find out how we can help you! We are one of the top kitchen remodeling companies in Orlando.